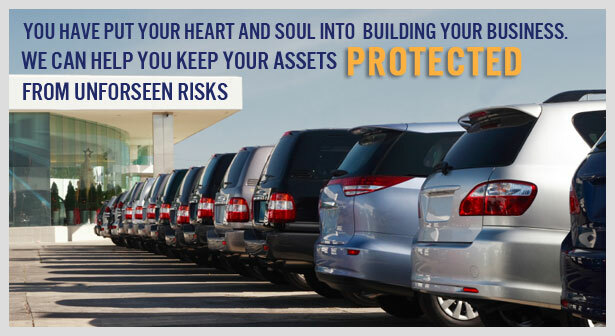 The first piece of insurance a business needs to consider is property insurance, including auto repair shops. Property insurance will cover the building structure and furnishings as well as some equipment. Additional options that should be discussed include employee’s tools, debris removal, and pollutant clean up, computer equipment, and equipment breakdown or boiler and machinery insurance. General liability is the second piece of putting together an auto repair business insurance package. No matter how diligent you are, every day you are at risk of being sued. Court costs and legal fees, damage awards, and time spent can financially ruin a business. A general liability insurance policy will cover costs and protect the assets of the business. Garage keepers insurance also needs to be discussed where you are keeping customers vehicles for a period of time. Product liability insurance is another option that needs serious consideration. If you are towing vehicles, tow truck insurance will cover liability and damage claims in transit to the repair shop as well as bodily injury and property damage. If the auto repair business has employees, then, as a rule, workers compensation is required. While every state varies in specific standards, we recommend having workers compensation in place from the first employee hire. In addition, it may make sense to explore crime insurance and employment practices insurance as well. Never assume your auto repair business is adequately insured. Talk to an Alliance specialist that understands the needs of your business. Together you can design a plan to meet both risk and the budget. At Alliance, we take the time to understand your needs and goals. We then customize an insurance plan with several options that will give you the protection you need. Based in Golden, CO, we are a rapidly growing independent insurance agency with more than a dozen Colorado, Arizona and Missouri locations from which to choose. We help you manage and plan for potential risks. Whether you're looking for commercial general liability, auto, homeowners, group health, specialty business insurance or anything in between, we have access to more than 110 of the best insurance partners in the country at the most competitive prices. We assist you in mitigating certain risks and select those carriers that specialize and appreciate the effort with lower premiums. Exceptional service, whether it is in response to an insurance claim or a general question, is the most important value we can offer you. It matters. At Alliance, we work hard to build a trusted relationship with our clients. We strive to make you feel both comfortable with – and confident in – our abilities by acting as your Risk Advisor. We are dedicated to helping our customers get most appropriate coverage at a fair price. Fill out the form below to be contacted shortly by one of our risk advisors to discuss your company's needs! Can Employers be Held Liable for Distracted Driving?